Richard Gere and Alejandra Silva are the proud parents of a baby boy! The 69-year-old actor's rep confirms to E! News that he and his 35-year-old wife welcomed a son a few days ago in New York City. 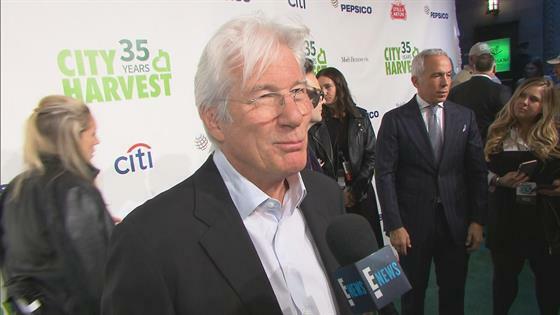 This is the first child for the couple, while Gere also has an 18-year-old son, Homer, from his marriage to model and actress Casey Lowell. Silva, a publicist, also has a son named Albert from her marriage to Govind Friedland. Gere and Silva, who tied the knot in 2018, first sparked romance rumors in June 2015 after they were spotted packing on the PDA on a yacht off the coast of Acitrezza, Italy. Silva's father is businessman Ignacio Silva, former financial vice president of the pro football club Real Madrid. Back in 2015, a friend of Silva's reportedly told Spain's ABC, "They've been together for about a year but have been very private about it. Alejandra lives between Manhattan and Madrid and Richard has already been to see her a few times." The pal added, "They've managed to keep it hidden from the press but all their friends know." Gere and Silva confirmed their pregnancy in September as they received a blessing from the Dalai Lama. "Just a few moments ago... Getting blessings for our precious to come.." Silva wrote on Instagram along with a photo of the meeting. "We couldn't announce it before telling HH Dalai Lama."